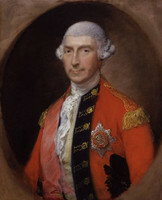 PRESCOTT, ROBERT, army officer and colonial administrator; b. c. 1726 in Lancashire, England, son of Richard Prescott, cavalry officer; m. with at least two daughters; d. 21 Dec. 1815 in Rose Green (West Sussex), England. Robert Prescott began his career in the British army on 22 June 1745, when he was appointed an ensign in the 15th Foot. He was promoted lieutenant three years later and captain on 22 Jan. 1755. After the outbreak of the Seven Years’ War, he participated in 1757 in an expedition against Rochefort, France. The following year he took part in the capture of Louisbourg, Île Royale (Cape Breton Island), under Major-General Jeffery Amherst*, who was also colonel of Prescott’s regiment. On 5 May 1759 Prescott received the prestigious appointment of aide-de-camp to Amherst. Early in August he was sent to England with the dispatches announcing the fall of Fort Niagara (near Youngstown, N.Y.). In 1760 he accompanied Amherst in the advance to Montreal, and in late August he was again entrusted with dispatches to England, this time announcing the fall of Fort Lévis (east of Prescott, Ont.). On 22 March 1761 he became major in the 95th Foot. His regiment was sent to Martinique in 1762, arriving shortly after the capture of the island in February, and proceeded to Cuba in May. Prescott exchanged into the 27th Foot in July, and on 10 November he was promoted lieutenant-colonel in the 72nd Foot in succession to Guy Carleton. He spent the decade after the war unattached to a regiment and probably in Britain. With the outbreak of the American revolution, Prescott was gazetted lieutenant-colonel of the 28th Foot on 8 Sept. 1775. That year he participated in actions around New York City, including the battle of Long Island, engagements in Westchester County, and the storming of Fort Washington (New York) in November. In August 1777 he was promoted brevet colonel; attached to the expedition against Philadelphia, Pa, he fought at the battle of Brandywine on 11 September. He was with the army of occupation in Philadelphia during the winter of 1777–78 and retreated with it, participating in June 1778 in the battle of Monmouth. The following November he was commander of the 1st Brigade in the British expeditionary force that left New York City to attack St Lucia, and from August 1779 to early 1780 he was in command of the British troops in the Leeward Islands. On 13 Oct. 1780 he was promoted colonel of the 94th Foot; he attained the rank of major-general one year later. After the signing of the peace in 1783 and the disbandment of the 94th Foot that year, he probably returned to England and was placed on half pay; on 6 July 1789 he became colonel of the 28th Foot. This uneventful interlude ended when war broke out between Britain and revolutionary France; in October 1793 he was promoted lieutenant-general and ordered to Barbados to take command. The following February the British attacked Martinique; Prescott, who was attached to the expedition at the request of the army commander, Lieutenant-General Sir Charles Grey, led the 1st Brigade, landing 2,484 men near Sainte-Luce on the 6th. After the capture of the island, he moved on with Grey’s force to Guadeloupe, which was also taken, and he was in command there in December 1794 when the British were obliged to fall back on Martinique. He was appointed civil governor of Martinique, and his firm but conciliatory administration gave great satisfaction to the French planters until ill health forced him to return to England in 1795. This time Prescott’s sojourn at home was short-lived. 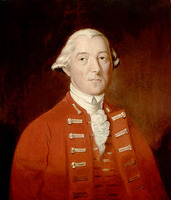 He was appointed lieutenant governor of Lower Canada on 21 Jan. 1796 in succession to Lord Dorchester [Guy Carleton]; a revised commission of 15 December created him governor-in-chief of the Canadas, New Brunswick, and Nova Scotia, as well as commander of the British forces in North America. On his arrival at Quebec in June 1796 he was deeply concerned about the colony’s security. To guard against external invasion and internal subversion he had at his disposal only a small garrison of British troops supplemented by an unreliable militia. He found fortifications inadequate or dilapidated and new barracks urgently required in order to avoid the objectionable practice of quartering soldiers on disgruntled inhabitants, but wartime financial constraints hampered his more ambitious schemes of military works and buildings. Although Anglo-American relations had improved with the conclusion of Jay’s Treaty in 1794 and Britain’s final evacuation in 1796 of the frontier posts ceded to the United States, rumours of impending French invasions via the Mississippi valley [see Wabakinine*] and the St Lawrence River [see Sir Howard Douglas*] caused excitement in the colony throughout 1796 and 1797; the province also seemed to be swarming with elusive French spies and American agitators. What gave Prescott most alarm in these circumstances was the apparent disaffection of the Canadians, whom he suspected of desiring a return to French rule: during the elections of 1796 for the House of Assembly the seigneurs, who generally supported the government, were eliminated as a political force; the same year disturbances occurred in various parts of Lower Canada, but especially at Montreal, where the introduction of a new road act occasioned a serious outbreak of violence in October. Leading members of the British élite, including Chief Justice William Osgoode*, Attorney General Jonathan Sewell*, and the deputies John Richardson* and John Young, believed the riots to have been orchestrated by the French minister to the United States, and were convinced that had they succeeded the British population would have been marked out for massacre. Prescott spent an uneasy winter fearing that the prevalence of secret meetings and inflammatory proclamations presaged a seditious conspiracy. But with a few summary arrests and the exemplary execution the following July of an active American intriguer, David McLane*, as well as the receding prospect of a French invasion, the atmosphere of crisis abated. Prescott’s distrust of the Canadians in a time of tension constrained him to exercise a strict surveillance of the Roman Catholic Church. He stopped the immigration of refugee priests from France, which Dorchester had permitted Bishop Hubert* to undertake, lest they foster among the habitants a fond remembrance of the French régime. Prescott feared that an influx of foreign clerics might also heighten dissatisfaction among the colonists by depriving Canadians of opportunities for ecclesiastical preferment. 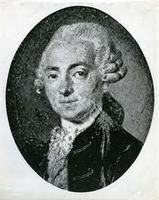 He was particularly mistrustful of the Sulpicians because they insisted on remaining a French community; he therefore opposed in 1798 the election of the Frenchman Jean-Henri-Auguste Roux* as their superior, and the following year he suggested that the government take over the Sulpician estates. But Prescott was not hostile to the Roman Catholic Church, whose influence with the population he wished to harness in support of government. 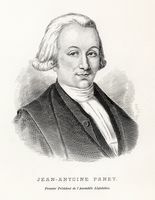 Thus, in 1797 when Hubert, who wished to retire, proposed Joseph-Octave Plessis* as coadjutor to Pierre Denaut, Hubert’s designated successor, Prescott, once assured of Plessis’s moral suitability and loyalty, accepted him. 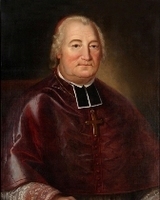 He then firmly defended his decision in the face of protests by Prince Edward Augustus, who had wanted the post to go to a personal favourite, Pierre-Simon Renaud, parish priest at Beauport. 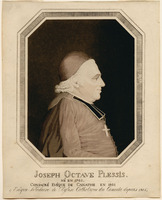 In return for his acceptance of Plessis, Prescott demanded from Denaut an annual return of vacant posts and of transfers within the clergy. In making this exaction Prescott was more likely concerned to protect himself from an angered prince by demonstrating a desire “to assert the King’s Supremacy,” than he was to exercise a royal control of ecclesiastical patronage; in fact he subsequently interfered rarely with clerical placements. For reasons of security, in order to avoid provoking the Canadians, he was determined not to trench upon rights hitherto enjoyed by the Roman Catholic Church. This resolve brought him into conflict with the Church of England bishop of Quebec, Jacob Mountain*, whose single-minded purpose was to place his church on a more secure foundation by extending its privileges and reducing the power and independence of its Roman Catholic rival. The querulous Mountain alienated Prescott’s sympathies, but in any case the governor would have recognized the necessity, given the unsettled political state of Lower Canada, to regulate (though with the utmost circumspection) the ecclesiastical authority of the Protestant bishop. The most Prescott would do to help the Church of England was protect the lands reserved for the Protestant clergy from encroachment by individuals – if this could be done without disproportionate trouble or expense. On his arrival in the colony Prescott had found land affairs in utter chaos. In 1792 the government had solicited applications for township grants from groups of associates, but it was dilatory in making the necessary administrative arrangements to process the resulting flood of claims. Although warrants of survey, supposedly to be completed within six months, were liberally issued for 150 townships involving some 7,000,000 acres, no surveying could begin until the government had appointed commissioners to administer oaths of loyalty and had designated lands reserved to the crown and to the Protestant clergy, preliminaries not completed until 1794. As 1,200 or more applications languished without decision in the Land Granting Department, many settlers returned to the United States disgruntled or financially ruined, while others, in optimism or desperation, began cultivating and spending money on lands to which they had not secured legal title. Then in 1794 the long-suffering petitioners learned that the Executive Council had decided to renege on past pledges and throw open to new applicants all lands for which the original claimants had failed to fulfil the stipulated terms. Since only one township had thus far been legally conveyed, this action represented a wholesale forfeiture of claims and created both a shoal of new petitions and a public outcry from the former applicants against official delays and broken promises. When Prescott assumed the unenviable responsibility for sorting out this confusion, he devised a scheme that distinguished between bona fide settlers and mere speculators by proportioning the size of township grants to the expenses for development incurred by the applicants. Although his plan was acceptable to the majority of claimants, it failed to satisfy the land speculators, who included members of the Executive Council. From the outset of his investigations Prescott had suspected that, with the connivance of Osgoode, certain councillors – most prominently Hugh Finlay, chairman of the land committee, and John Young – had been exploiting their official position to acquire large tracts of land for themselves. The council’s ill-judged action in 1794, Prescott believed, had been a deliberate plot by rapacious monopolists to grasp townships actually settled and rendered valuable by the labour and expenditure of the original applicants. When the council condemned his proposed settlement of claims in 1798, Prescott reacted sharply. Irritated by trickery and unaccustomed to opposition, which he considered insubordination, he openly accused his councillors of jobbery, land speculation, and malpractices in office. Thereafter, relations between governor and council rapidly deteriorated as the exchange of charges and recriminations became increasingly acrimonious. The authorities in London soon grew weary, and then alarmed, at this unseemly slanging match. After an appeal for cordiality had obviously fallen on deaf ears, the British government concluded that imperial interests in Lower Canada were being seriously jeopardized at a critical time, and in April 1799 Prescott was recalled to England for consultations. 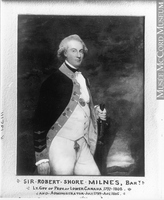 Robert Shore Milnes* was sent out as lieutenant governor to calm the troubled waters, which he did by allowing the councillors to secure the substantial land grants they coveted. 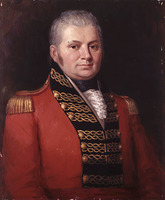 While he was still in Lower Canada Prescott had been promoted general on 1 Jan. 1798. About that time he had met the British officer George Thomas Landmann*, who later recalled that “the general was a little man, not exceeding five feet four or five inches high, very slender and certainly not much under eighty years of age; he was nevertheless active, a good officer, but exceedingly peppery.” It was perhaps Prescott’s irascibility that ultimately brought about his recall. As governor he had proved to be a man of integrity and independent judgement, willing to make unpalatable decisions when necessary. However, an old soldier, he was also frank to a fault, impatient of opposition, stubborn, and unskilled in the finer points of colonial politics. Back in England, he agonized bitterly over the censure that his recall implied and for a time tried unsuccessfully to obtain an inquiry into his conduct in order to exonerate himself from the malicious misrepresentations of a self-interested cabal. Although he retained the governorship and its emoluments until 1807, he never returned to Lower Canada, and his death at the age of about 89 in December 1815 went virtually unnoticed in the colony. According to an entry in the catalogue of the BL, Robert Prescott may be the author of Letter from a veteran to the officers of the army encamped at Boston (n.p., 1774). PAC, MG 23, D3; GII, 17; MG 24, B3, 3; MG 30, D1, 25: 409–25; RG 7, G14, 1. PRO, CO 5/34–35; CO 42/105–13; CO 43/17–18. QDA, 73 (C-2). [Jeffery Amherst], The journal of Jeffery Amherst, recording the military career of General Amherst in America from 1758–1763, ed. J. C. Webster (Toronto and Chicago, ), 109–10, 140, 156, 158, 210, 212, 214–15, 219, 239–40. Docs. relating to constitutional hist., 1791–1818 (Doughty and McArthur; 1914). Gentleman’s Magazine, 1761: 238; 1783: 271; 1797: 979; January–June 1816: 88. Knox, Hist. journal (Doughty), 1: 459; 3: 46. Landmann, Adventures and recollections, 1: 240. Quebec Gazette, 26 Jan., 2 Feb., 4 May, 31 Aug. 1797; 4 April, 18, 25, 29 July, 21 Nov. 1799. Appleton’s cyclopædia of American biography, ed. J. G. Wilson and John Fiske (7v., New York, 1887–1900), 5: 109. DNB. G.B., WO, Army list, 1754–1816. H. J. Morgan, Sketches of celebrated Canadians and persons connected with Canada, from the earliest period in the history of the province down to the present time (Quebec and London, 1862; repr. Montreal, 1865), 129–30. Wallace, Macmillan dict. 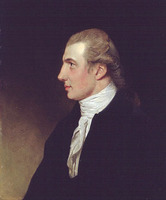 A. L. Burt, The United States, Great Britain and British North America from the revolution to the establishment of peace after the War of 1812 (Toronto and New Haven, Conn., 1940), 174–77. Caron, La colonisation de la prov. de Québec, 2: 77–140. Christie, Hist. of L.C., 1: 173–203; 6: 23–38. S. D. Clark, Movements of political protest in Canada, 1640–1840 (Toronto, 1959). F. M. Greenwood, “The development of a garrison mentality among the English in Lower Canada, 1793–1811” (phd thesis, Univ. of B.C., Vancouver, 1970). R. J. Jones, A history of the 15th (East Yorkshire) Regiment (the Duke of York’s Own), 1685 to 1914 ([Beverley, Eng., 1958]), 127. Lambert, “Joseph-Octave Plessis,” 262–65, 288–89, 332–33. 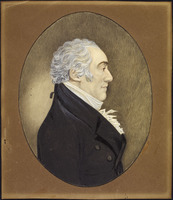 Norman Macdonald, Canada, 1763–1841: immigration and settlement; the administration of the imperial land regulations (Toronto and London, 1939), 80–84. Millman, Jacob Mountain, 268–69. Peter Burroughs, “PRESCOTT, ROBERT,” in Dictionary of Canadian Biography, vol. 5, University of Toronto/Université Laval, 2003–, accessed April 20, 2019, http://www.biographi.ca/en/bio/prescott_robert_5E.html.